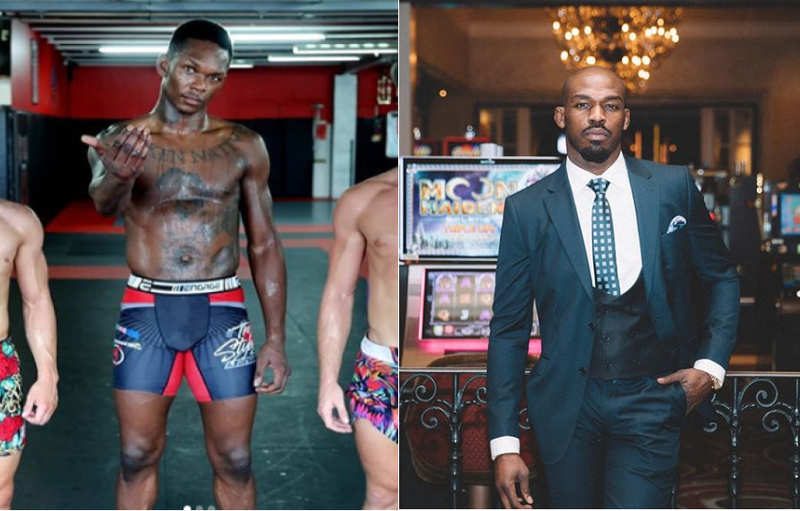 This weekend’s UFC 236 co-main event features Israel Adesanya. He will be taking on Kelvin Gastelum for the interim UFC Middleweight belt. Israel Adesanya went on TMZ to preview the upcoming match. He would talk about the things that Gastelum does well, but would talk about picking him apart. However, the more interesting part of the conversation came with the topic of Jon Jones. Recently Jones mentioned the likelihood of him facing off against Israel Adesanya, saying he definitely sees it happening soon. Comparisons have been made between Jones and Adesanya, noting the similarities in body type and fighting style. When asked about the potential of the bout, Israel made it clear that he wants it too. He said that he was on the same page as Jones, having screenshots to prove it. This was not the first time he has talked about this, either. Adesanya is intrigued by the match-up. This was as much as Israel would discuss the bout, though. His focus is on the task ahead of him at UFC 236. Currently, Jones is set to face Thiago Santos at UFC 239. Israel Adesanya is set to fight Gastelum for the interim title Saturday night, so will likely face champion Robert Whitaker next. This does give fans something exciting to look forward to in the future.